The following are some common questions that may arise with regard to NAPAOnline® and the information which we request from our customers at different points in our website. What information does NAPAOnline® collect? How does NAPAOnline® use the information it collects? How does NAPAOnline® protect the information it collects? Does NAPAOnline® share its information with other companies? What are “cookies” and how are they used by NAPAOnline®? When you set up “Your NAPA” Account you will be asked to provide your email address and a password, as well as provide information regarding your vehicle. The information you provide in your “Your NAPA” Account allows NAPAOnline® to personalize searches and facilitate the ordering process. 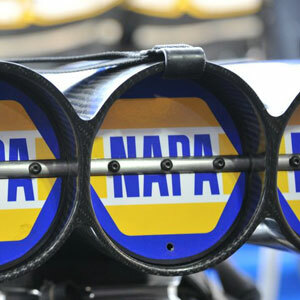 During registration of “Your NAPA” Account, NAPAOnline® will ask for your name, address, e-mail address and other personal information, including data about your automobile. The more information you voluntarily provide (and the more accurate it is), the better NAPAOnline® will be able to customize your experience. Survey information will be used for purposes of monitoring or improving the use and satisfaction of this site. We may also use this data to personalize the customer’s experience at our site, showing them content that we think they might be interested in, and displaying the content according to their preferences. In addition, this information may be used internally by NAPAOnline® for market analysis and other purposes. Financial information that is collected is only used to bill the user for products and services ordered at NAPAOnline® and for no other reason. NAPAOnline® does not store credit card information on its servers or systems. Contact information from the “Your NAPA” registration form, order forms, contest forms and other sources is also used to send promotional materials to our customers. In addition, the customer’s contact information may be shared with selected partners of NAPAOnline® who may want to contact our visitors. Users may opt-out of receiving future updates by checking the appropriate box when opening or modifying their “Your NAPA” account. To provide you with an increased level of security, access to your personal information is protected with a password, which you select. We strongly recommend that you not disclose your password to anyone. All personal information that you provide to NAPAOnline® including names, addresses, contact information, and credit card information are stored in a secure database. We utilize industry best practices in order to ensure that your data is secure. When you place orders through our website, you will transmit your order information, including your credit card number, to our secure server. Our secure server uses Secure Socket Layer (SSL) software, which allows us to receive information that your Web browser encrypts before transmitting to us. Since any order information you provide to NAPAOnline® will be transmitted using a secure connection, customers with web browsers that cannot support this level of security will not be able to order products through NAPAOnline®. NAPAOnline® will never display more than five digits of your credit card number on the screen or on any invoices for your protection. NAPAOnline® does not sell your personal information to any third parties. However, we may provide your information to trustworthy third parties (including “Your Local NAPA Stores”) so that they can send you product and service offers that may be of interest. Users may opt-out of receiving future mailings by checking the appropriate box when opening or modifying their “Your NAPA” account. NAPAOnline® may provide aggregate statistics about our customers, sales, traffic patterns, and related site information to reputable third-party vendors. However, these statistics will include no personally identifying information. NAPAOnline® may release account information if it believes, in good faith, that such release is reasonably necessary to (1) comply with the law, (2) enforce or apply the provisions of our Terms and Conditions, or (3) protect the rights, property or safety of NAPAOnline®, our customers or other individuals. Please note that when you order products and services from NAPAOnline® we will use a credit card verification company to validate the credit card and other information you provide before we can fill your order. We have an agreement with such company to ensure that our customers’ personal information is kept confidential. Not only is it the same credit verification process that would be used if you presented your credit card at any NAPA store, but there is an additional safeguard in that the billing information you provide for your credit card enables us to verify that you are the rightful owner of the card. “Cookies” are pieces of information that our website can send to your browser and which can later be stored on your computer’s hard drive so that we can recognize you when you return. All pages on NAPAOnline® where you are prompted to log in or that are customizable require that you accept cookies. We may also use ads on our website that contain cookies. Our cookies do not contain any personally identifying information, but they do enable us to provide features such as storing items in your shopping cart between visits and creating a personalized website based on your particular vehicle. Most Web browsers automatically accept cookies, but you can usually change your browser to prevent that. Thank you for visiting NAPAOnline®!